There are two Ontario connections to a pair of North American Car, Truck and Utility Vehicle of the Year finalists. The Chrysler Pacifica is built at FCA’s Windsor assembly plant and is a finalist for North American Utility Vehicle of the Year. The Ford F-Series Super Duty is up for Truck of the Year. The company’s Essex engine plant in Windsor builds the trucks' engines. 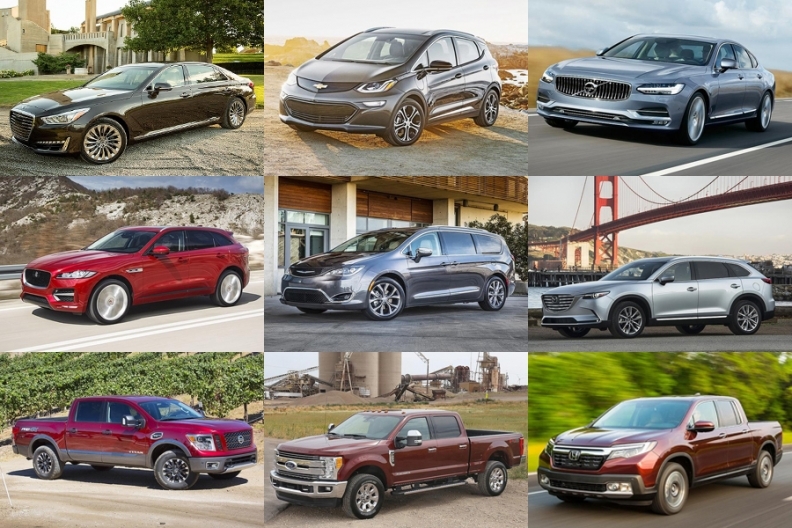 The Chevrolet Bolt, Genesis G90 and Volvo S90 were named finalists for the North American Car of the Year, while the Ford F-series Super Duty, Honda Ridgeline and Nissan Titan were named truck finalists. The Chrysler Pacifica, Jaguar F-Pace and Mazda CX-9 were named finalists in the new utility vehicle category, reflecting the growing popularity for SUV-style vehicles. The nine finalists were chosen by an independent jury of 57 automotive journalists from short lists of 15 cars, 11 utility vehicles and four trucks. Two of the jurists are Sharon Silke Carty and Richard Truett of Automotive News. The Honda Civic and the Volvo XC90 won the awards for 2016. The 2017 North American Car, Truck and Utility of the Year will be announced Jan. 9 at the Detroit auto show.